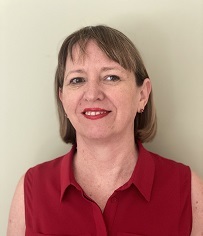 Dr Linda Agnew is a cellular immunologist with expertise in the measurement and analysis of biomarkers of the immunological and cellular stress responses in health and disease. While the primary focus of this research is core biomedical science much of its application is in clinical medicine providing translational (bench-to-bedside) outcomes. Bitsika V, Sharpley CF, Andronicos NM, Agnew LL. (2015) Hypothalamus Pituitary Adrenal Axis daily fluctuation, anxiety and age interact to predict cortisol concentrations in boys with an Autism Spectrum Disorder. Physiology and Behavior 138: 200 – 207. Iseme RA, McEvoy M, Kelly B, Agnew LL, Attia J, Walker FR. (2014) Autoantibodies and depression evidence for a causal link? Neuroscience and Biobehavioral Reviews. 40: 62-79. Sharpley CS, Palanisamy SAK, Glyde NS, Dillingham P, Agnew LL. (2014)An update on the interaction between the Serotonin Transporter Promoter Variant (5-HTTLPR), Stress and Depression, plus an Exploration of Non-confirming Findings. Behavioural Brain Research 273: 89 – 105. Sharpley CF, Agnew LL. (2011) Cytokines and Depression: Findings, Issues and Treatment Implications. Reviews in the Neurosciences, Vol. 22(3): 295–302. Agnew LL and Colditz IG (2008) Development of a method of measuring cellular stress in sheep and cattle, Veterinary Immunology and Immunopathology, 123 (3-4): 197 – 204,. Agnew LL and Watson K. (2006) Detection of stress proteins as biomarkers of oxidative stress, In Current Protocols in Toxicology, Chapter 17, pp. 1 – 26, M.D. Maines, L.G. Costa, D.J. Reed, S. Sassa, I.G. Sipes (Eds. ), John Wiley & Sons, Inc., New York,. Agnew LL, Guffogg SP, Matthias AM, Lehmann RP, Bone K and Watson K. (2005) Echinacea intake induces an immune response through altered expression of leukocyte hsp70, increased white cell counts and improved erythrocyte antioxidant defences, Journal of Clinical Pharmacy and Therapeutics, 30: 363-369. Agnew LL, Kelly M, Batterham M, Ffrench R, Gold J and Watson K. (2003) Altered lymphocyte heat shock protein 70 expression in patients with HIV disease, AIDS, 17(13): 1985-1988.